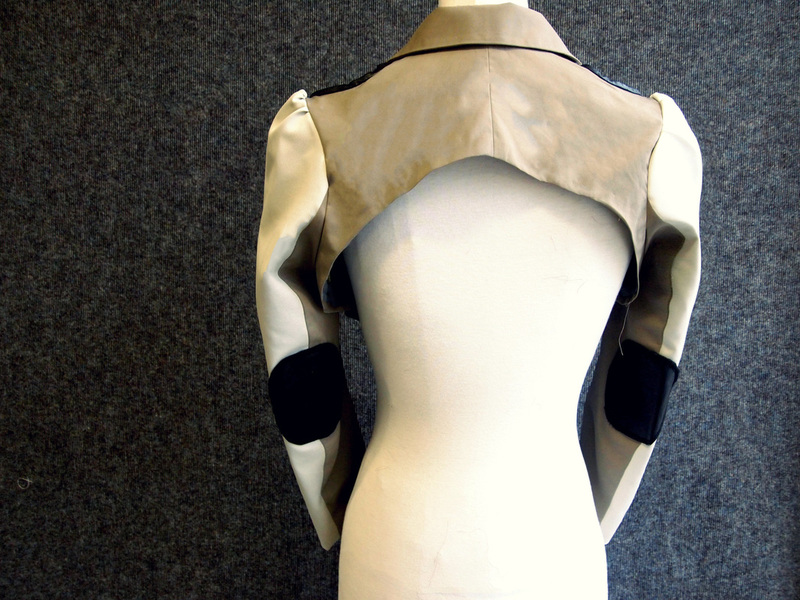 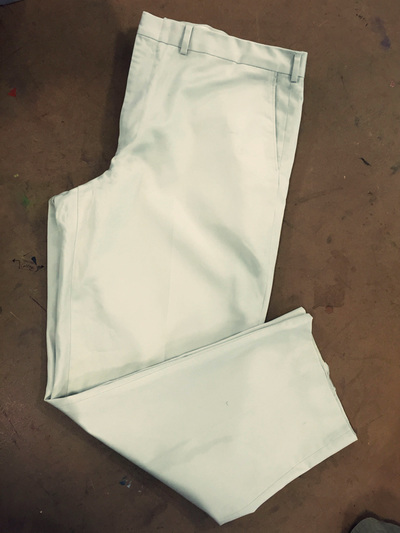 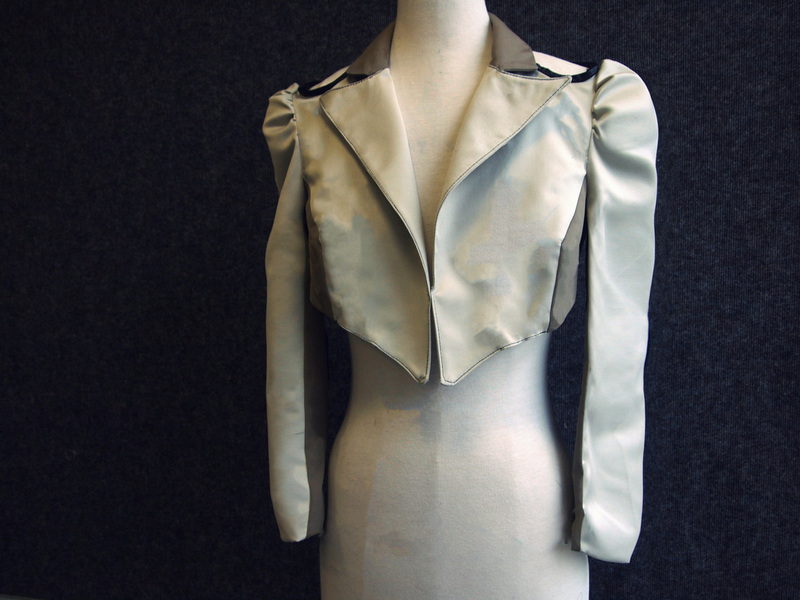 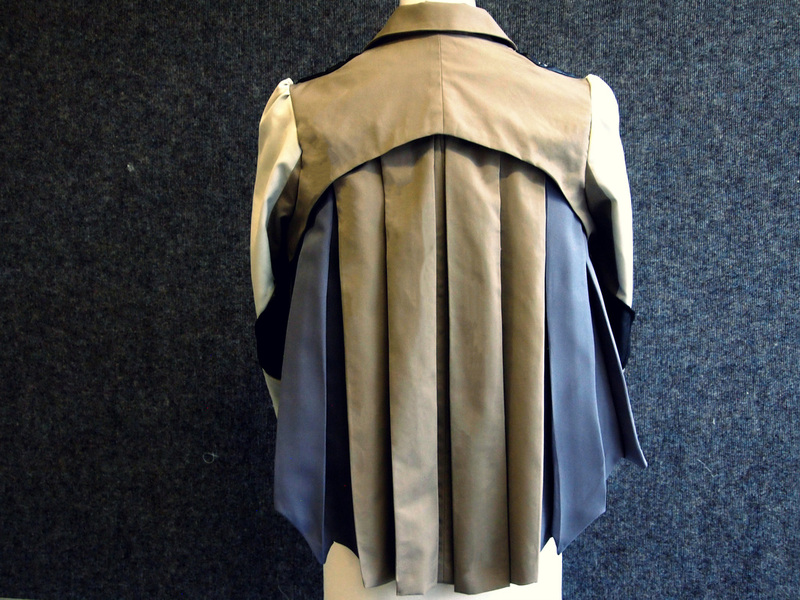 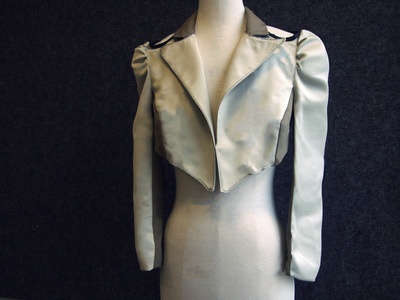 We were instructed to create a tailored jacket made out of completely upcycled materials. My inspiration was the Aqua tower in Chicago. I mainly focused on the structural aspects as well as the fluidity of the shapes in the building. 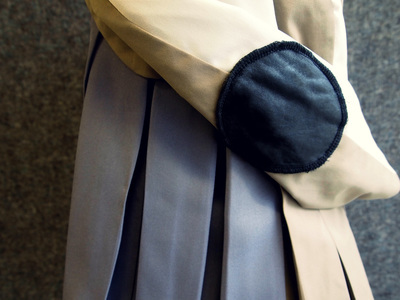 When I saw the building, I initially thought of armor. 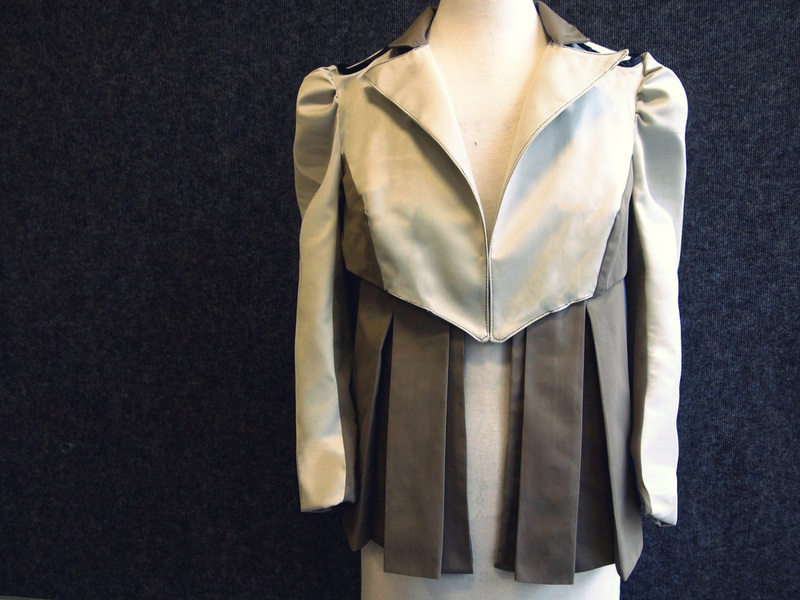 I incorporated box pleats into the bottom of this jacket (which are detachable) to translate that. This entire garment is made out of two pairs of men's pants and a trench coat. 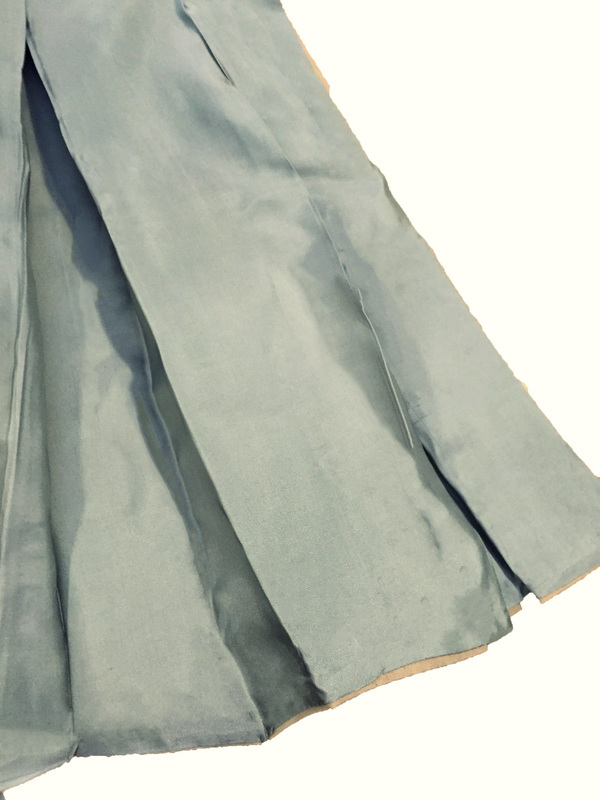 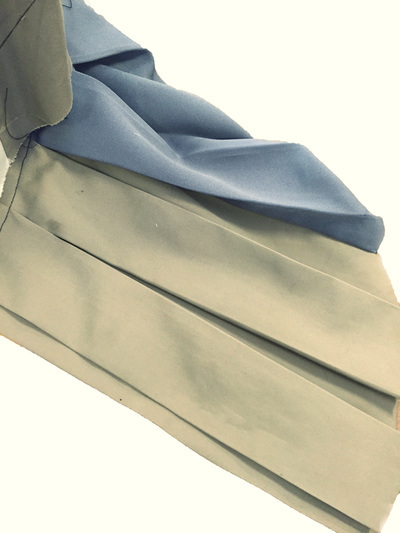 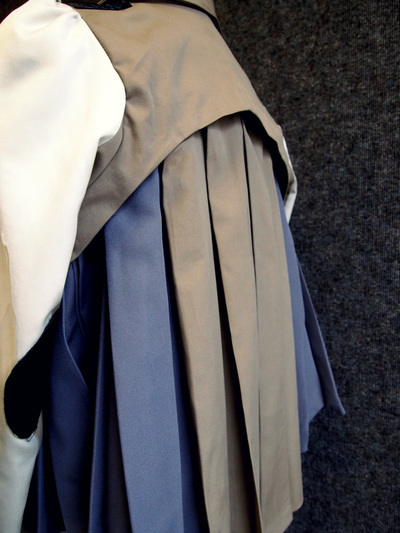 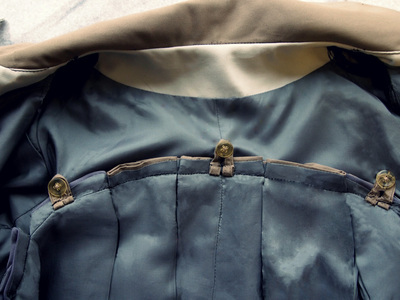 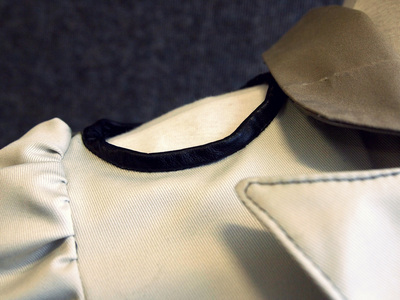 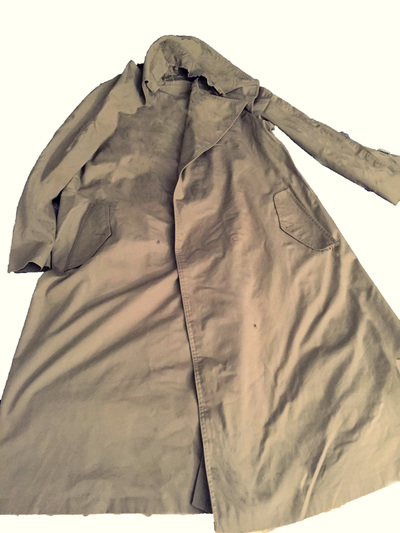 The jacket is fully lined and the pleats are attached with buttons inside the jacket.